Talk all day and all night for one low monthly cost. Unlimited voice usage (no per minute fees). Fleet owners in Northern Virginia rely on Communication Specialists to provide reliable communications to their vehicles. We also provide GPS vehicle tracking to better manage your operations. From the factory worker making components to the road crew making repairs, the MOTOTRBO™ XPR 7550 portable can transform your enterprise and make employee interactions smarter and safer. Give us the opportunity to be your wireless communication specialist and you won't be sorry. Our expert sales staff has almost four decades of experience in planning and creating custom-designed communications systems. We believe in forging a relationship with our customers based on a partnership of customer service and trust. Our sales and customer service teams target the diverse needs of the business community throughout the Fredericksburg region. As partners, we strive to provide each customer with a communications plan that brings long-term business growth and prosperity. The Motorola Solutions Service Elite Specialist is the highest level of service relationship. It represents the greatest level training and commitment. 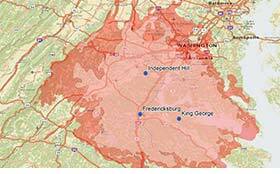 Communication Specialists, Inc. owns and manages a Motorola MOTOTRBO digital two way radio system in the Fredericksburg area. Learn more about our MOTOTRBO system. 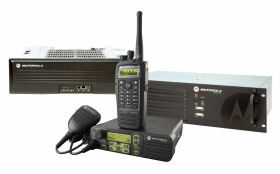 Communication Specialists over digital two-way radio coverage on our Connect Plus and Capacity Plus Systems.